Given the global reach of the industry, these day’s it’s pretty unusual for a sponsored major poker event to have a final table of local players. 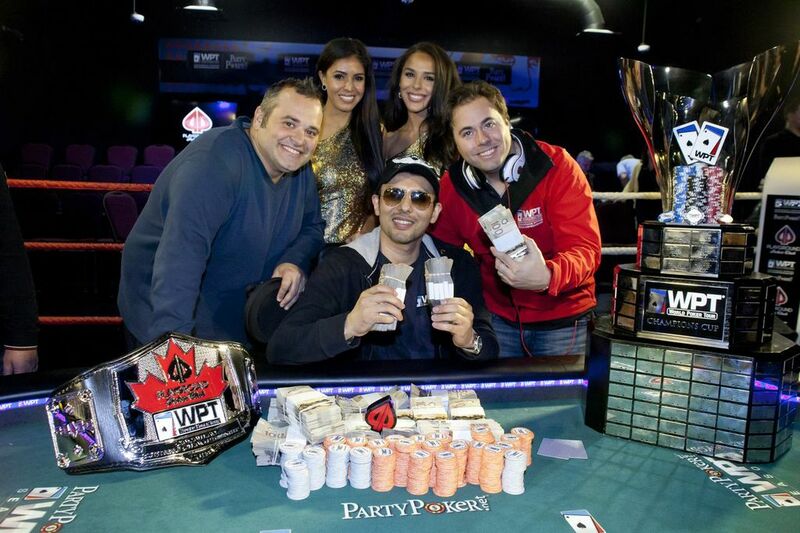 However, that’s exactly what happened last weekend at the $3,300 CAD WPT Canadian Sprint Poker Championship in Montréal. The final table from the 735 runner field was all Canadian, and the chip leader going into the final action was Amir Babakhani. He was also responsible for the elimination of most of the other players at this final table, and entered heads up play with two and half times the stack of his opponent, Barry Kruger. The heads up match started slowly, and it took a while for any big pots to happen. Kruger managed to double up twice to extend his life in the tournament, but it was to no avail, and the last hand pretty much played itself. Amir raised to 625,000 and Kruger smooth called behind. The flop came 5 5 3 , and Kruger checked in flow. Babakhani bet 600k into a 1.25 million pot, and Kruger tank called to bring the 2 on the turn. Kruger checked again, which allowed Amir to bet 1.3 million. Kruger went into the tank again, before he pushed the rest of his chips over the line. Amir called, showing the 8 5 for flopped trips, Kruger flipped over 5 4 for trips with a worse kicker. The Q changed nothing, and Amir Babakhani had won $442,000 and a $25,500 entry to the WPT World Championship next week. Sponsors, Party Poker, are currently offering satellites to WSOP events, so if you haven’t got a spot yet for Vegas this summer, they might be worth looking at.